MIAMI – The name of the Miami Dolphins’ home will be LandShark Stadium, but not for long. It will be for this season only and expires before the stadium hosts the Super Bowl in February. The change is part of the Dolphins’ new partnership with singer Jimmy Buffett. First off, what is a LandShark? Sharks are fish, and fish can’t live on land, except of course in the cases of the mudskipper, lungfish and some species of eels. But none of those are sharks. Even in the metaphorical world, LandShark doesn’t make sense. I mean if you’re looking for something that does on land what sharks do in the water, namely eat people, then you have bears. You don’t hear sharks being called “sea bears” though that name sounds pretty cool. And also, if my Wildlife Science bachelors degree doesn’t fail me, don’t dolphins and sharks not get along? I’m fairly certain they fight each other. A lot. So why would you want to name a stadium after an animal that conflicts with your team nickname and mascot? Like my family always says, the sun fries peoples brains in Florida. Anyways, apparently Jimmy Buffett, whose music I enjoy – but only in the summer – is in cahoots with AB to put out this Corona-like pisswater that my brother-in-law has a love affair with. Personally, I think it is a step above Bud Light Lime, and ten steps ahead of Miller Chill, but that’s not saying much. So is SteelReserve. I mean if you’re going to name a stadium after a beer that evokes a tropical, summer-y type feeling why not go with Dos Equis? It’s Mexican, delicious, and has a badass name. Not to mention, the most interesting guy in the world drinks Dos Equis. Well when he drinks beer at least. Hopefully, for the Dolphins sake, they’ll read this post and realize the error of their ways before they renew the partnership before the Super Bowl. 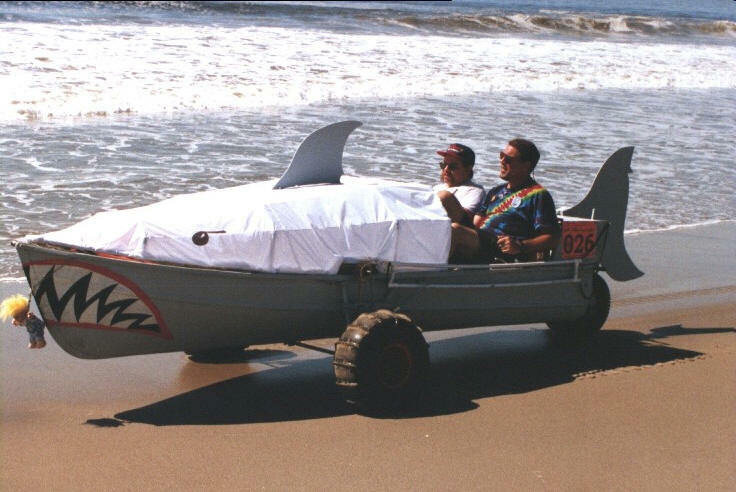 You are currently browsing the archives for the LandShark category.